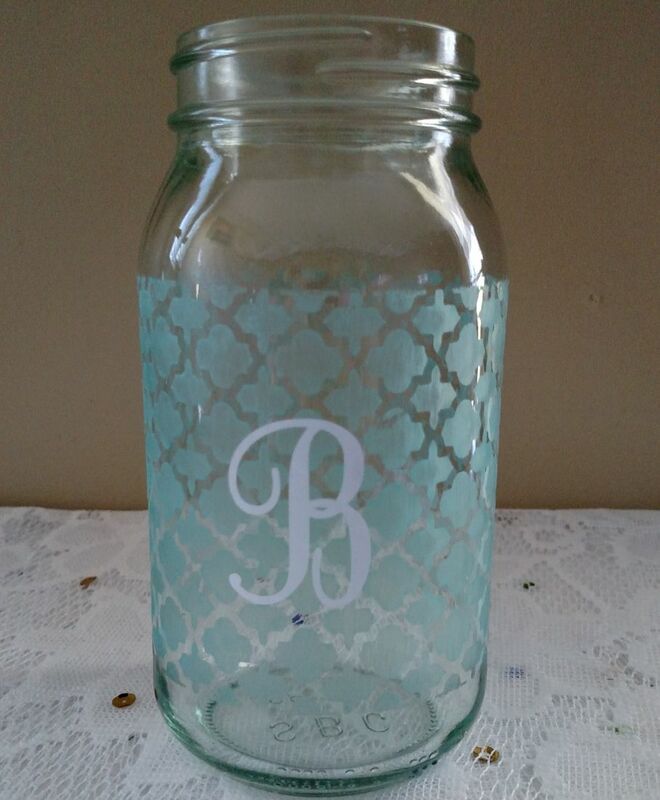 Sure, glass is pretty on its own, but it’s even prettier when you give it pops of color with paint! From drinking glasses to storage containers, kitchen glassware is an essential in most homes. 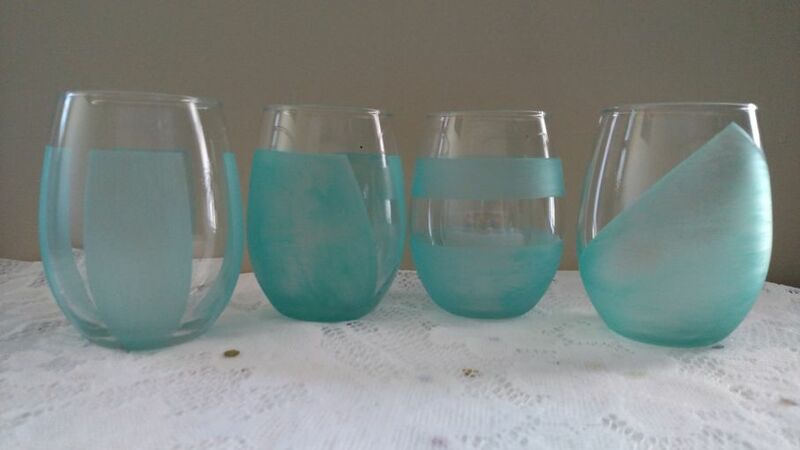 Make a statement with your glassware by jazzing it up with glass paint! Start out your project by first deciding what style or design you want on your kitchen glassware. Stripes? Polka dots? A solid color? 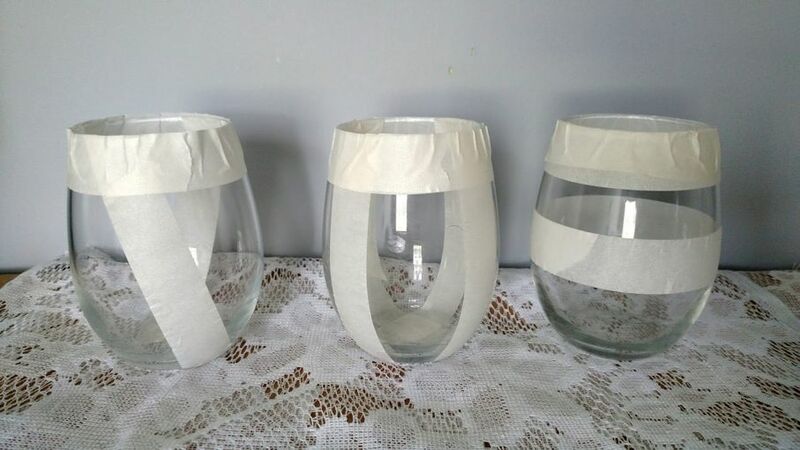 Once you have decided on a design or multiple designs, you can apply your masking tape or stencil to the glassware. For this project I chose to create a different design for each glass. 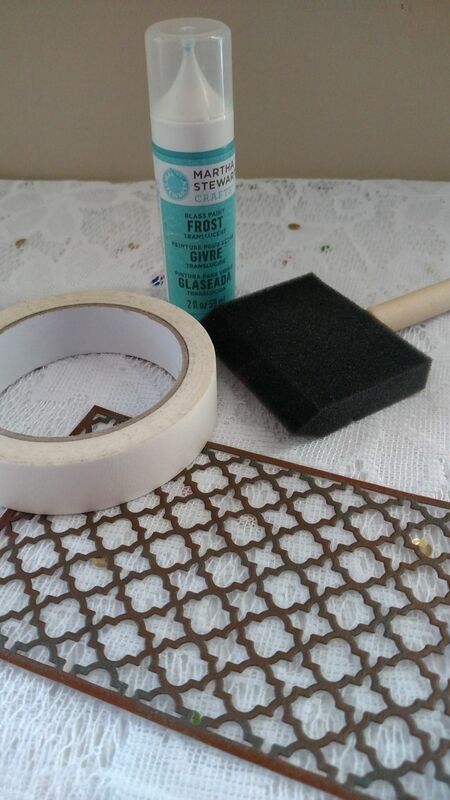 Tip: When applying your masking tape or stencil, be sure there are no air bubbles and the tape/stencil is pressed onto the glass firmly with a crisp edge. Otherwise the paint will bleed underneath the tape/stencil. This can give it a messy design, and is especially important if you have an intricate design that you’re painting into your glassware. The easiest way I’ve found to apply the paint is to add the paint directly to the surface, and glide the paint across the glass in even strokes using a foam brush. 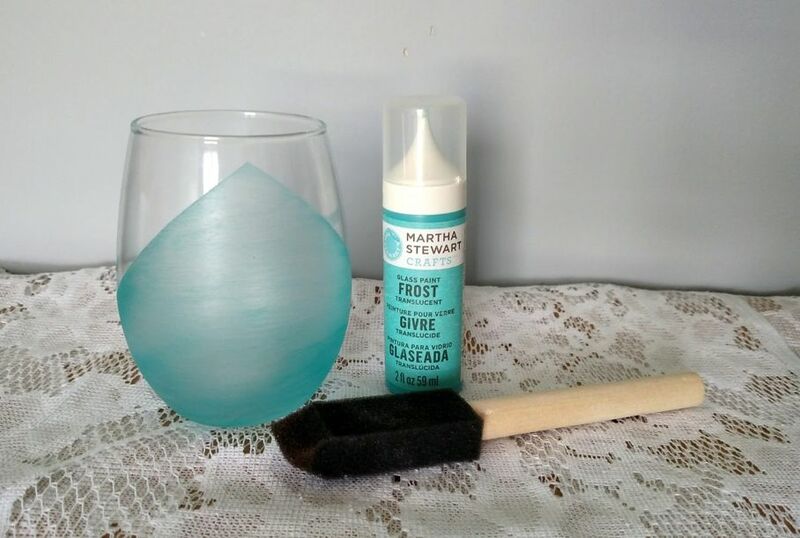 The particular brand of glass paint I used dries quickly, so you have to work fast or you’ll end up with uneven streaks or some spots looking darker than others. If this doesn't bother you, then by all means take your time. I personally feel that some imperfection adds more character to the glass, so my set does have some uneven areas. As long as you cover the entire project with the same number of coats, then the uneven streaks and darker spots won’t be all that noticeable. Once you have your preferred number of coats painted on (I suggest at least three), allow the paint to airdry for at least one hour. I mentioned in the supplies list that the oven is optional. This is because you can choose to either oven cure your painted piece(s) or allow it to airdry. 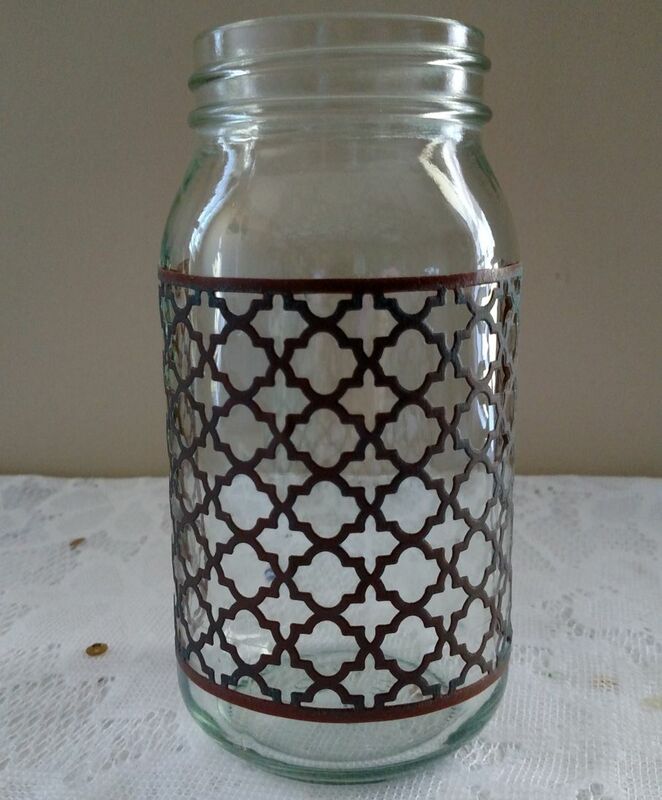 For the mason jar project (seen below), I let it sit out and airdry for 21 days. I was skeptical about oven curing at first because I have read that your glass can break in the oven if your cure it incorrectly, and I didn't want to ruin a perfectly good mason jar. However, for the stemless wine glasses (above), I did oven cure them and had great results. If you choose the airdry method, then your last step is to peel off the masking tape and let the piece sit somewhere safe and out of the way. The brand of paint I used instructed me to leave a painted piece out for 21 days. I put my painted mason jar on top of my fridge where it was unlikely anyone would mess with it. For oven curing, follow the instructions included on the paint bottle. Some brands will post their curing instructions online. Be sure to read the label thoroughly and follow their specific instructions. Each brand will have their own way of curing the paint, so follow their individual instructions for the best results. Once your glasses are dry, wash them by hand. Now they’re ready to be used! Show off your fancy glassware at your next dinner party! 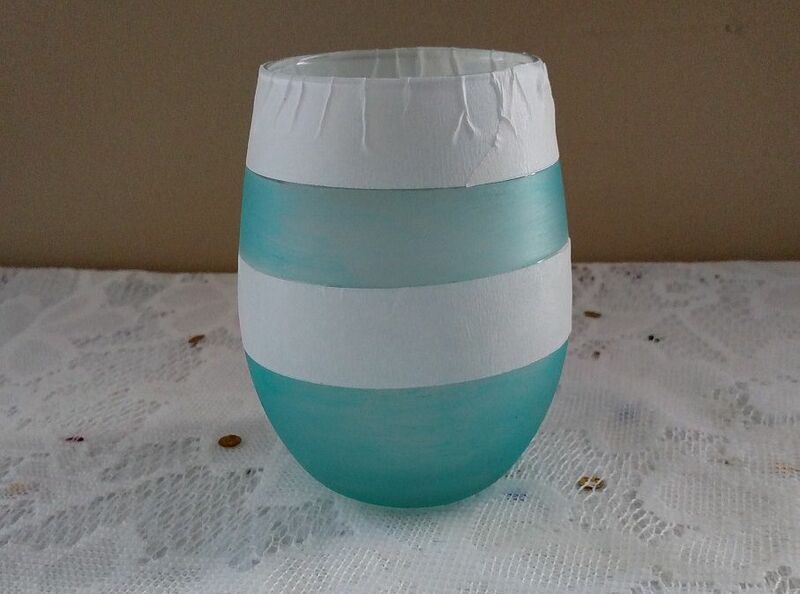 Have you tried glassware painting? Do you have any extra tips or tricks to share? Let us know in the comments!